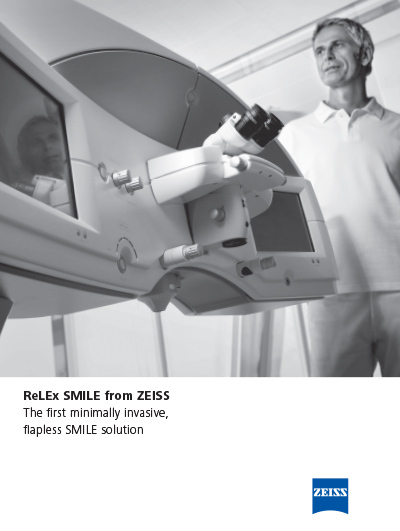 ReLEx SMILE 3D (Small Incision Lenticule Extraction) is the latest and most advanced laser eye surgery available today. It is minimally invasive, flapless and painless. ReLEx SMILE 3D combines all positives of the previous two generations of laser eye surgery and eliminates all of the negatives by carrying out the surgery in a single step, within the cornea and without disturbing the sensitive surface layer of the eye. 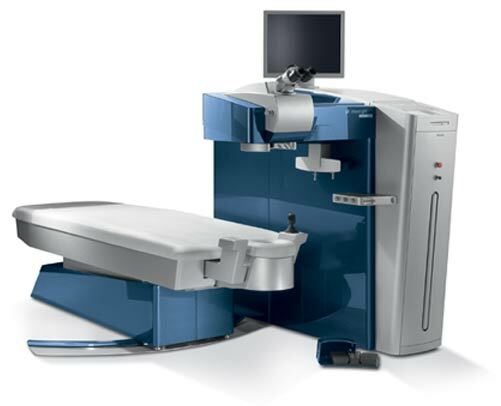 Throughout the procedure the surface and biomechanics of the cornea remain largely intact as the unique VisuMax 500kHz Femtosecond Laser outlines a tiny lens called a lenticule within the cornea. Using a remarkable 500 pulses per second, the Visumax 500kHz Femtosecond Laser completes its work within 25 seconds no matter how high your prescription is. At the same time it creates the tiny 2mm keyhole through which your surgeon removes the lenticule. Removing this lenticule is what changes the shape of your cornea and thus achieves the right amount of visual correction. Therefore, in the ReLEx SMILE 3D procedure, there is NO flap needed. Creating the flap needed for LASIK surgery involves making a circular incision around the cornea approximately 20mm in length - the incision used in ReLEx SMILE 3D is 10 times smaller! ReLEx SMILE 3D is true “key hole surgery”. No complications - there is no creation of a corneal flap, therefore no flap related complications! Despite LASIK complications being extremely rare, they are all as a result of the corneal flap. ReLEx SMILE 3D technology eliminates the need for the flap, and therefore the only source of complications is eliminated entirely. No pain – no pain during surgery or after surgery. Fastest and safest procedure yet – the VisuMax Femtosecond Laser completes the procedure within 25 seconds, regardless of the strength of your prescription. Our experienced surgeons will remove the lenticule in even less time. It is extremely desirable for the procedure to be quick - the faster the procedure, the less trauma to the eye, and the more comfortable the patient, both during the procedure and after it. Fast visual recovery – most patients go to work the following day. Far less risk of post-operative dry eye syndrome – because the keyhole incision made by the laser to extract the lenticule is 10 times smaller than the incision required to form a corneal flap, the nerve fibres which regulate tear production are left almost undisturbed. Minimally invasive – the tiny incision preserves the natural structure of the cornea and thus ensures that the results of ReLEx SMILE 3D are more stable and predictable than any other procedure. 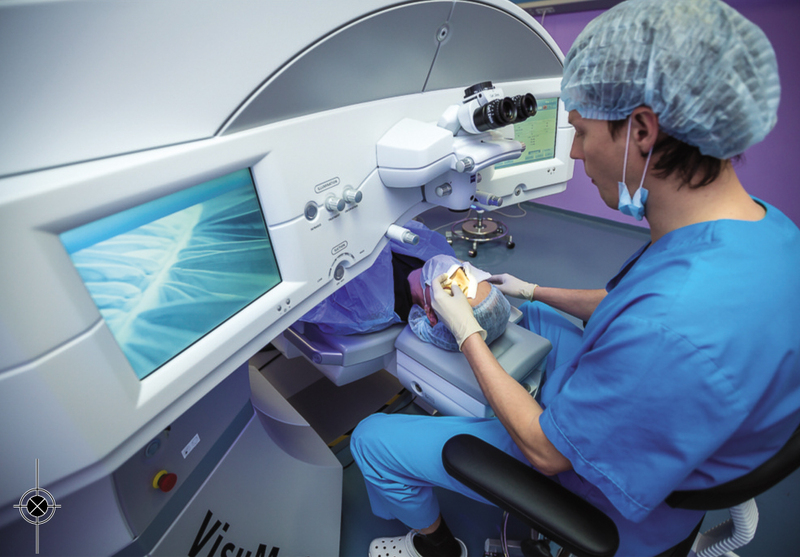 Comfort - with ReLEx SMILE 3D, there is no need to prepare the corneal surface as the Visumax Femtosecond Laser outlines the lenticule within the cornea and surgeon removes it – with that your vision is perfected! For our excellent surgeons, this takes only 2-3 minutes. During whole procedure all you will perceive are some lights in front of you, and the gentle sound of the Visumax Femtosecond Laser. Immediately after your procedure - RELAX! Ideally just rest, sleep, and maintain the your schedule of eye drops. If you’re going out, use the high quality branded sunglasses we have given you. We will see you on the following day for the removal of your therapeutic contact lens and to check on the results of your surgery. After that, just maintain your schedule of eye drops for the following month, and enjoy your new view of the world! After that, you’ll be in direct contact with your surgeon via email at any time after your procedure, and of course Kristýna, our optometrist will be available to help you with any other follow-up advice that you might need, as will our friendly English-speaking team in Prague. And of course, you’re welcome to drop into our Prague clinic again for a free check-up any time you’re back in our beautiful city.